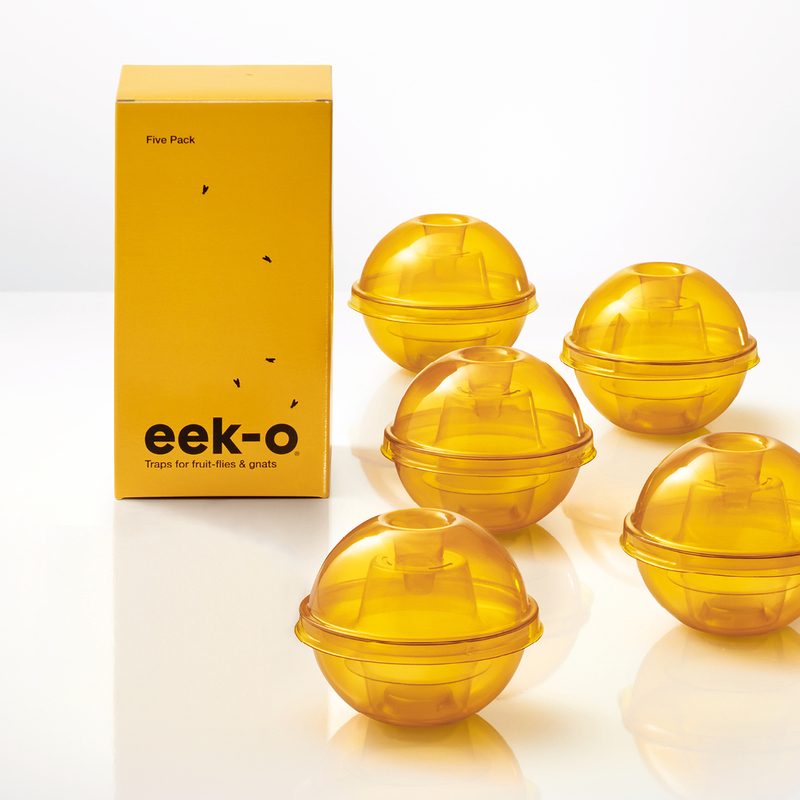 Our new eek-o is the state of the art in fruit fly and gnat capture devices. 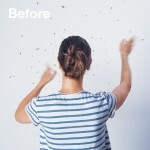 We have carefully studied the behavior of these pesky bugs and have created an object they find simply irresistible. In combination with a natural bait, eek-o‘s juicy-round-yellow form is just what these bugs are conditioned to look for. Once they smell the bait, in they go! And once inside, There’s virtually no way out. Our patented double chamber construction works with the insect’s natural instinct to fly upward to escape, except with eek-o, flying up only leads them deeper into the trap. 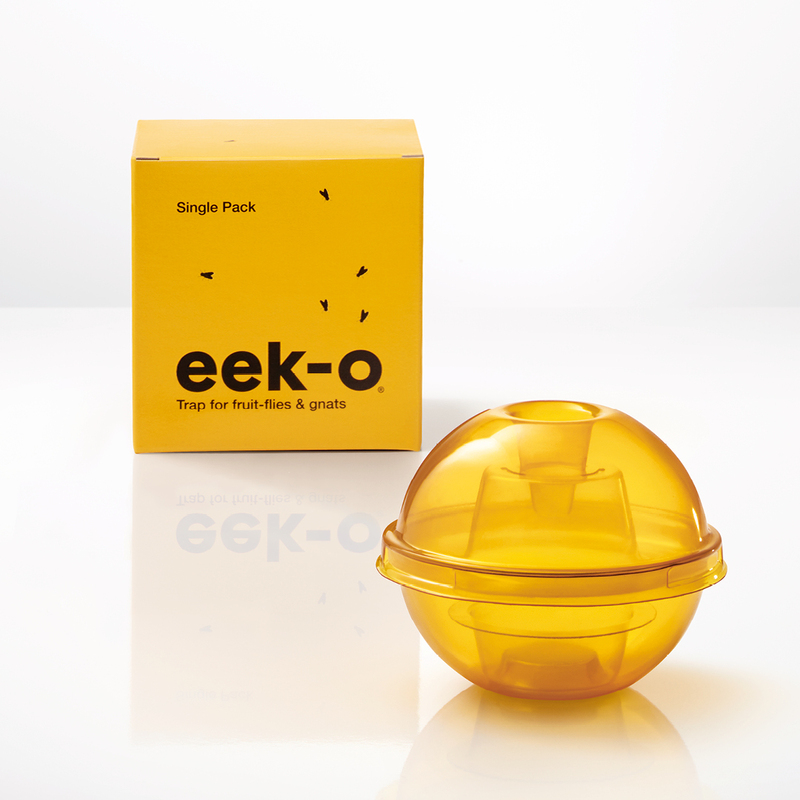 With eek-o‘s new trap for fruit flies and gnats, your home will soon be under control again. Effective: eek-o‘s patented double chamber design makes it virtualy impossible for fruit flies and gnats to escape. Economical: eek-o is good for several uses. 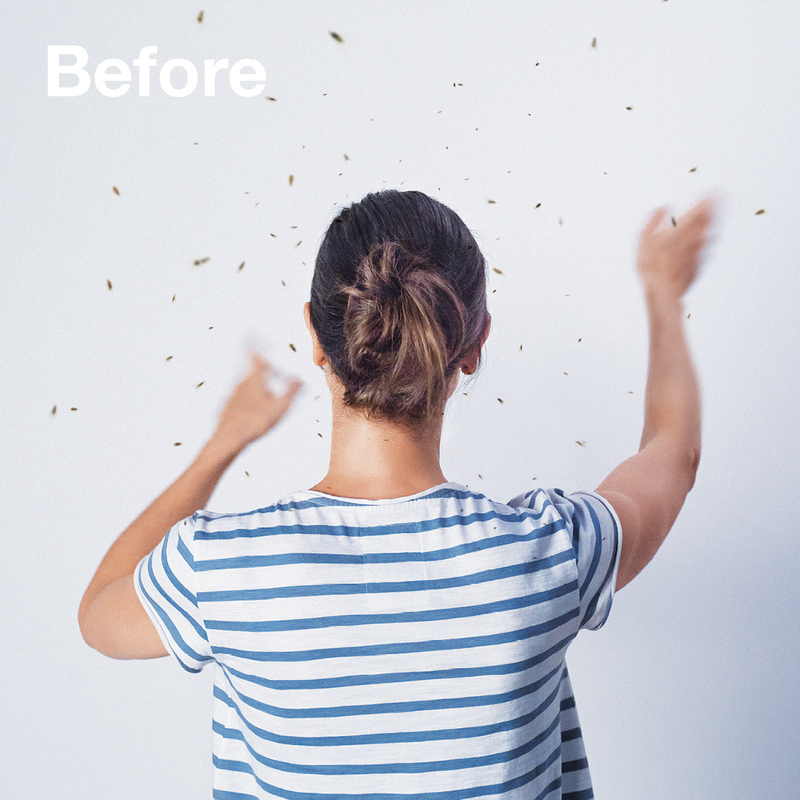 Save money by reusing it 2, 3 times or more. That’s like getting extra eek-os for free! Safe: Using eek-o around food, family and pets is no problem when using your own fresh fruit mixed with eek-o‘s 100% non-toxic activator powder for bait. You mix it so you know it is safe. 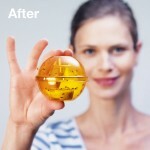 Convenient: Don’t want to deal with the mess of emptying and cleaning your eek-o to use again? No problem; just toss it in recycling, and forget it. 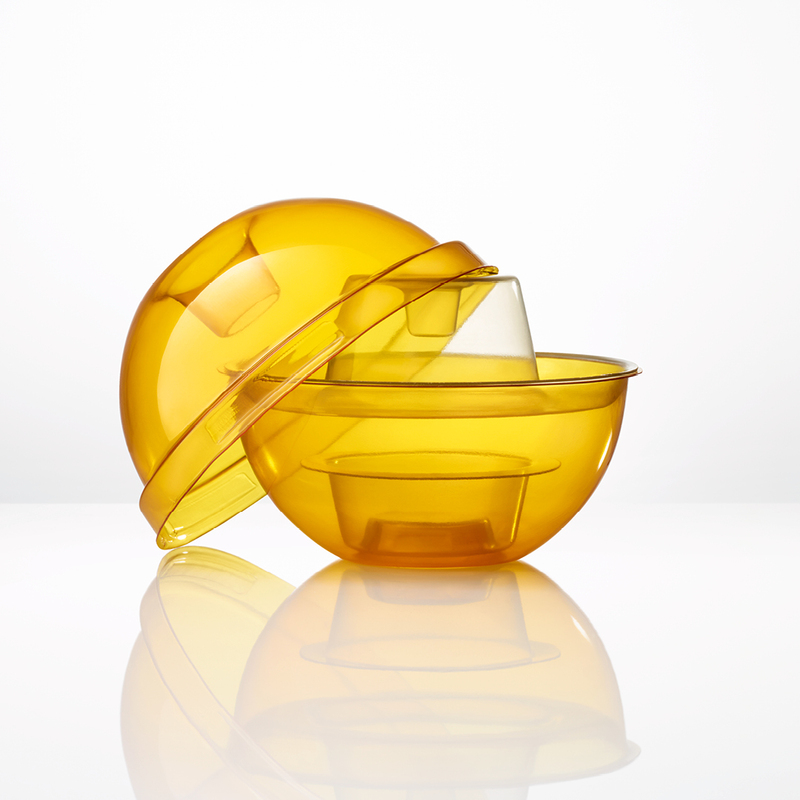 Recyclable: eek-o is made from 100% recyclable plastic, recycle code No.1 PET. Please don’t through your eek-o in the rubbish—recycle!